The resort’s seawall upgrade, approved by city commissioners this November, paves the way to proposed redevelopment of the historic Sandcastle Resort which is neighbor to Lido Harbour South condos for sale. The seawall, a buffer against potential erosion, would be moved westward to protect the new Sandcastle structures to be constructed. The project for the seawall upgrade will next undergo a review for permitting by the Florida Department of Environmental Protection. The issues which the agency will consider include the project’s impact on vegetation, dunes and nesting turtles. A 304-room hotel complex of two residential towers nine- and 10-stories high is proposed for the Sandcastle site. Its full redevelopment’s blueprint also includes two ballrooms, a restaurant, a spa and a pool with a deck overlooking the beach, and a two-level garage with 637 parking spaces. A showdown with some local residents, however, is expected before the Sandcastle redevelopment proceeds. Latest city documents show that more than 50 neighbors of the resort have signified opposition to this project. In a separate move this November, city commissioners overturned residents’ opposition to the city’s leasing of the Lido Beach pavilion which would facilitate its long-delayed rehabilitation. Opponents to the lease contended that the plan veers away from the character of the pavilion’s site and from the simple improvements that some residents want. Majority of the city commissioners, however, disagreed with these arguments and instead voted 4-1 to approve the lease of the pavilion to Lido Beach Development Partners. 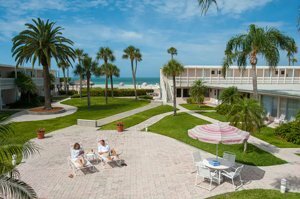 This private group, a partnership of Daiquiri Deck locations owner Troy Syprett and Gavin Meshad of the development team behind Aloft Sarasota hotel, got an initial 10-year lease for the Lido Beach pavilion and pool. In exchange for the lease, the Spyrett-Meshad group will spend $3 million to $4 million in the renovation of the Lido Beach pavilion’s pool. The pavilion will also be expanded to include the operation of an ice cream parlor and a tiki bar. Additionally, a children’s splash pad will be built and a new 200-seat restaurant will be launched. 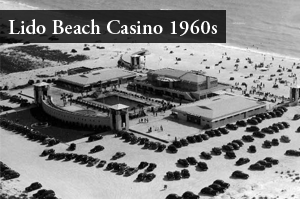 This restaurant will be named “Castaways of Lido Key” as a tribute to the revered Lido Beach Casino which was closed and demolished in the 1960s. Work on the initial pavilion improvements is expected to start next summer, aimed for completion in June 2019. 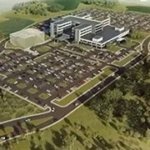 A 10-year term starts the lease next May, with two 10-year extensions available for a total lease period of 30 years. City administrators have resorted to this unconventional public–private partnership as the local government needs to supplement its $1.25 million available funding for renovations. Drafting of the upgrade plans for the aging Lido Beach park pavilion has been ongoing for the past five years. The recent lease approval enables the city commission to redirect its funding to the local government’s other park projects which could eventually bring some added zip to the Sarasota real estate market.